“Nobody has nailed ‘social travel’ yet, but someone will eventually,” Tripbirds co-founder Ted Valentin told me a few months ago. Last March, the company unveiled its social travel planning Web app in public beta, hoping to entice travelers worldwide to sign up and start planning trips based on recommendations they received from their friends (à la Gogobot, Trippy and Wanderfly). That didn’t quite work out the way Tripbirds was hoping, but rather than throw in the towel or keep hammering on a solution looking for a problem that hasn’t been (even partially) solved yet, the team decided to take the service offline and focus on one aspect of travel planning. Today, Tripbirds is unveiling the fruit of its labor. 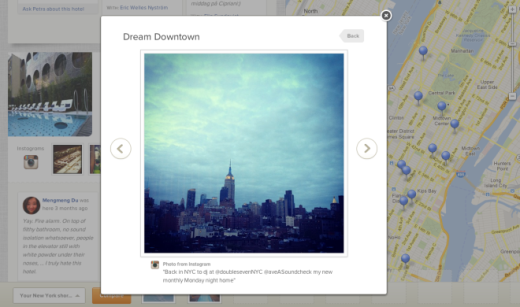 The website combines a traditional list of hotels with information from your social graph layered on top of it, allowing you to see where your Facebook friends have stayed and give you the ‘unofficial’ pictures of a hotel through Instagram photos. Valentin cites a recent survey that showed over half of Facebook users claim their friends’ photos significantly influenced their travel plans, which explains the Instagram integration. 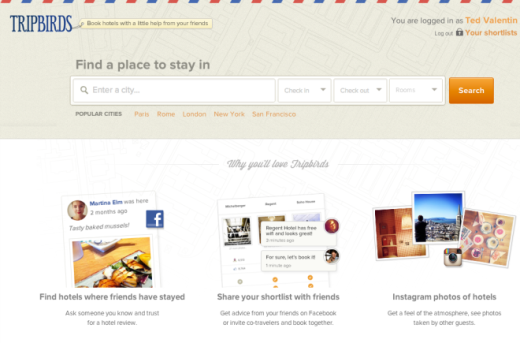 Tripbirds also enables users to create a shortlist of places to stay and share it with friends on Facebook and Twitter. 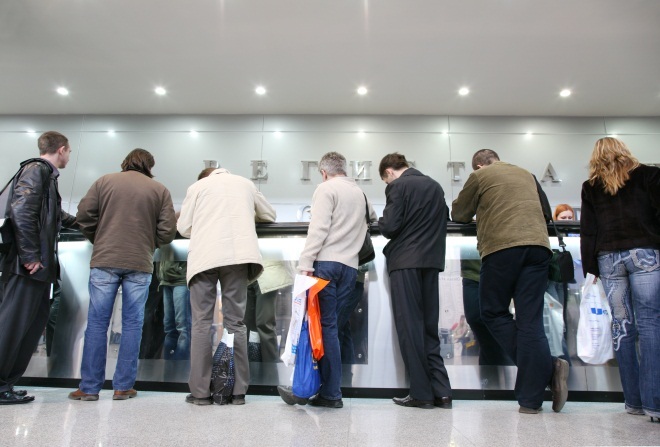 People can also use the service to discuss hotel features within its website via a chat system. 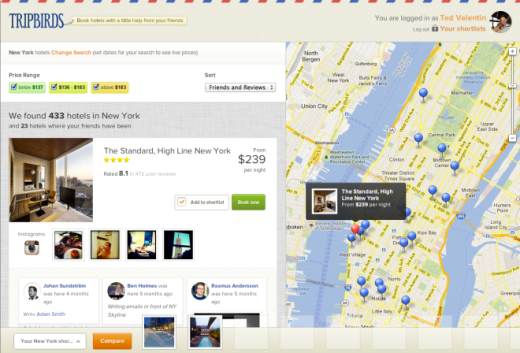 This makes it easier for users to coordinate hotel bookings with fellow travellers – hence: social hotel booking. The service is launching worldwide today, but is only available in English for now. The company doesn’t have to start from scratch: its former social travel planning application attracted over 10,000 users after its debut in March. You can find several screenshots of the new Tripbirds below. The startup is backed by roughly 560,000 euros in funding from Index Ventures, Passion Capital and Creandum, as well as angel investors such as Path founder Dave Morin, Andreas Ehn (ex-CTO at Spotify, co-founder of Wrapp), SoundCloud co-founders Eric Wahlforss and Alexander Ljung, and Peter Read. Tripbirds is based in Stockholm, Sweden and was co-founded in 2011.